Just before the Civil War, and long before the Federal Reserve, the United States had 8,000 kinds of money. It was a chaotic, confusing time to buy your groceries. Private banks issued notes with the promise of backing in gold and silver, but their actual value was anybody’s guess. Soon other companies—drug stores, coal mines, and of course railroads, the wealthy connectors of their day—jumped into the fray. What’s old is new again in the hands of today’s barons of digital infrastructure. On Thursday, The New York Times reported new details about Facebook’s efforts to produce its own digital coin. Facebook’s first foray into blockchain will reportedly take the form of a so-called “stablecoin,” where the value of its digital currency is backed by the physical kind—in this case, a basket of global currencies. The idea is to tamp down the rampant speculation and tumult that have plagued other cryptocurrencies, like bitcoin, making the coin easier to someday use to buy your gas and meals (or, who knows, your neighbor’s cat tower on Facebook Marketplace). The company’s blockchain team has reportedly grown to more than 50 people—cordoned off, the Times says, in a wing with restricted key-card access—and expects to release a product within six months. Facebook’s plans have been rumored since April, when the company tapped David Marcus, former head of Facebook Messenger, to helm a dedicated blockchain team. The new coin would leverage the built-in connections of WhatsApp’s more than 1.5 billion users—and potentially billions more should the coin come to Instagram or Facebook itself. That alone would make it an instant competitor to Venmo (and its owner, PayPal), and to China’s WeChat Pay, which is attempting to make inroads globally, including in the US. Neither of those companies, however, uses a blockchain to send money, or even uses its own coin; WeChat users in China pay in yuan, just as American Venmo users pay in US dollars. Facebook’s clearest advantage, in using a coin backed by multiple currencies, would be to allow users to send payments across borders cheaply. In December, Bloomberg reported that the coin would initially be tested with WhatsApp users in India, where demand for cross-border payments is strong. Facebook is not likely to let that happen. With a centralized approach, Facebook could sidestep the sluggishness and high costs of decentralized blockchains, like Bitcoin, and keep an eye on nefarious uses of its coin. In any case, a stablecoin backed by real money is inherently centralized to an extent: The supply of the coins would have to be matched by Facebook’s ample coffers, and carefully managed. But that approach raises another concern, says Joshua Gans, a professor of management at the University of Toronto. He questions whether Facebook could achieve its reported aims without starting to look like a private central bank. It’s tricky to maintain a peg to undulating real-world currencies, he points out, and to police the network to make sure people don’t game exchange rates or make a run on the currency. “Basically if you were Facebook, you’d want to go to [former Federal Reserve Chair] Janet Yellen and say can you run this? And nothing less than that would be acceptable,” he says. That’s a particular issue when the coin would leave Facebook’s walls and be exchanged for traditional money. Emin Gun Sirer, a professor of computer science at Cornell, says Facebook might want to rely on others for that task. The Times suggests existing cryptocurrency exchanges could handle logistics like verifying identities and storing some of the funds. But even exchanges that are well-established by the young industry’s standards have run into trouble (see: QuadrigaCX). That raises the question of why Facebook wouldn’t strike off on its own, either by building an exchange or acquiring one. One hope for cryptocurrency purists is that Facebook could begin with a centralized approach and then gradually loosen its grip—especially as new technology makes decentralized blockchains more scalable. Earlier this month, Facebook acquired Chainspace, a company working on methods to scale blockchains. “We would expect them to test the waters, and not satisfy the purists,” says Sirer, who founded a company called Ava Labs, which also works on scaling solutions. “The question is will there be a catch. Will they embrace the potential of cryptocurrencies, or will they turn it into a walled garden? “I honestly don’t think Facebook knows yet,” he adds. To Gans, that walled garden might suit Facebook just fine, especially if one purpose of Facebook’s coin is to encourage more people to use more of Facebook. On WhatsApp, he points out, the coins will pass between established connections, increasing the chance that they remain with friends and family who never cash out. That could also be especially useful as the company increasingly positions itself as a marketplace for goods and services. Facebook has tried a version of that concept before, with Facebook Credits, a virtual money that was used to make in-app purchases on the platform, but couldn’t be cashed out. The company discontinued Credits in 2012. Perhaps, if anything, Facebook’s stablecoin will lay the groundwork for other, more exploratory, uses of blockchain. Last week, in a discussion at Harvard Law School, CEO Mark Zuckerberg dangled one possibility: a decentralized version of Facebook Connect, where users—and not Facebook—would control their own credentials and choose when to share them. But as with most things in crypto, the idea, so far, has fallen short of how companies like Facebook actually operate. “I haven’t figured out a way to make this work,” he conceded. Women’s health has long been devoid of technological innovation, but when it comes to fertility options, that’s starting to change. Startups in the space are securing hundreds of millions in venture capital investment, a significant increase to the dearth of funding collected in previous years. Fertility entrepreneurs are focused on a growing market: couples are choosing to reproduce later in life, an increasing number of female breadwinners are able to make their own decisions about when and how to reproduce, and overall, around 10% of women in the US today have trouble conceiving, according to the Centers for Disease Control and Prevention. Startups, as a result, are working to improve various pain points in a women’s fertility journey, whether that be with new-age brick-and-mortar clinics, information platforms, mobile applications, wearables, direct-to-consumer medical tests or otherwise. Although the investment numbers are still relatively small (compared to, say, scooters), the trend is up — here’s the latest from founders and investors in the space. This fall, TechCrunch received a tip that SoftBank, a prolific venture capital firm known for its nearly $100 billion Vision Fund, was investing in Glow, a period-tracking app meant to help women get pregnant. Max Levchin, Glow’s co-founder and a well-known member of the PayPal mafia, succinctly responded to a TechCrunch inquiry regarding the deal via e-mail: “Fairly sure you got this particular story wrong,” he wrote. Glow co-founder and chief executive officer Mike Huang did not respond to multiple requests for comment at the time. Needless to say, some semblance of a SoftBank fertility deal got this reporter interested in a space that seldom populates tech blogs. Femtech, a term coined by Ida Tin, the founder of another period and ovulation-tracking app Clue, is defined as any software, diagnostics, products and services that leverage technology to improve women’s health. Femtech, and more specifically the businesses in the fertility and contraception lanes, hasn’t made headlines as often as AI or blockchain technology has, for example. Probably because companies in the sector haven’t closed as many notable venture deals. That’s changing. The global fertility services market is expected to exceed $21 billion by 2020, according to Technavio. Meanwhile, private investment in the femtech space surpassed $400 million in 2018 after reaching a high of $354 million the previous year, per data collected from PitchBook and Crunchbase. This year already several companies have inked venture deals, including men’s fertility business Dadi and Extend Fertility, which helps women freeze their eggs. Dadi, Extend Fertility and FertilityIQ are among a growing list of startups in the fertility space to crop up in recent years. FertilityIQ, for its part, provides a digital platform for fertility patients to research and review doctors and clinics. The company also collects data and issues reports, like this one, which ranked businesses by fertility benefits. Anderson-Bialis launched the platform with his wife, co-founder Deborah Anderson-Bialis, in 2016 after the pair overcame their own set of infertility issues. 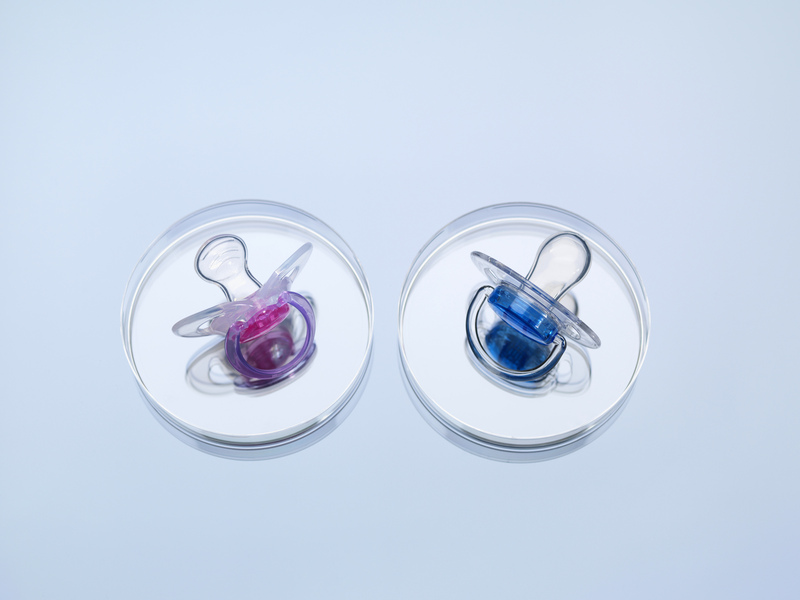 Anderson-Bialis said he has recently fielded requests from seed, Series A and growth-stage investors interested in exploring the growing fertility market. His company, however, has yet to raise any outside capital. Why? He doesn’t see FertilityIQ as a venture-scale business, but rather a passion project, and he’s skeptical of the true market opportunity for other businesses in the space. Ceros allows marketers to create animated, interactive content — but don’t call it a content marketing company. That’s why he describes Ceros as a platform for creating experiences. The company is focused on powering beautiful, well-designed graphics and web pages, instead of blog posts or white papers that mostly exist to snare search traffic. Ceros is announcing today that it has raised $14 million in Series C funding. Ceros previously raised $19.5 million in funding, according to Crunchbase. The new round was led by Greenspring Associates, with participation from Grotech Ventures, CNF Investments, Sigma Prime Ventures, StarVest Partners, Greycroft and Silicon Valley Bank. For examples of the difference between Ceros “experiences” and run-of-the-mill content marketing, check out Ceros/Inspire, where some of the most-viewed projects include a comic book-style blockchain explainer from Ozy and a “friend versus pro” created to promote H&R Block. The company says it’s now working with more than 400 customers, including well-known brands like United Airlines and Red Bull, as well as publishers including Condé Nast and Vice, plus sports teams like the Baltimore Ravens and Detroit Lions. “Both in terms of the revenues that we’ve reached and the clients that we’ve worked with … you never really ‘arrive,’ but I feel like we’ve reached a critical milestone,” Berg said.